We lend business purpose bridging finance loans to London based borrowers and business owners. The loans range between £100,000 to £3,000,000 for minimum 3 months and maximum 18 months periods and loan interest rate starts at 1% per calendar month. These loans are secured against UK real estate with an average loan-to-value average at 51%. Valuations are produced by external independent chartered surveyors having professional indemnity insurance up to £10 million any one claim and also by our internal property professionals based on comparable sale prices. Extensive due diligence and valuations are carried out prior the loan is granted. We obtain a detailed Valuation report from an independent Chartered surveyor. 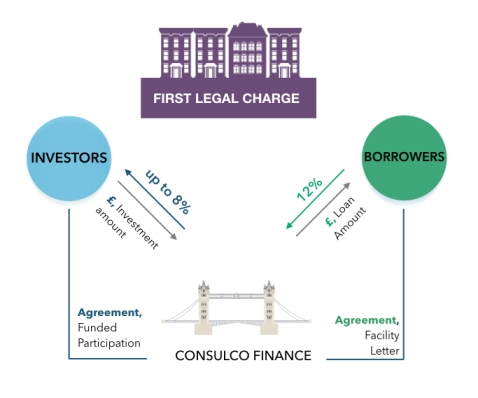 Consulco Finance obtains a legal report from a qualified law firm qualifying that the borrower has a good and legally marketable title to the freehold/long leasehold interest in the property, free from encumbrances, to be placed as a security for the loan.